All #HailTheNail With a Twitter Party For the Premiere of Nail'd It! As I'm sure you guys know, there's a new TV show on the horizon and it's all about nail art. Nail'd It! is premiering at 9pm EST, Tuesday October 7th, on Oxygen, and you KNOW I'm gonna be all over that. To celebrate the premiere, I'll be joining a fabulous group of influencers to host a Twitter party leading up to the first episode! 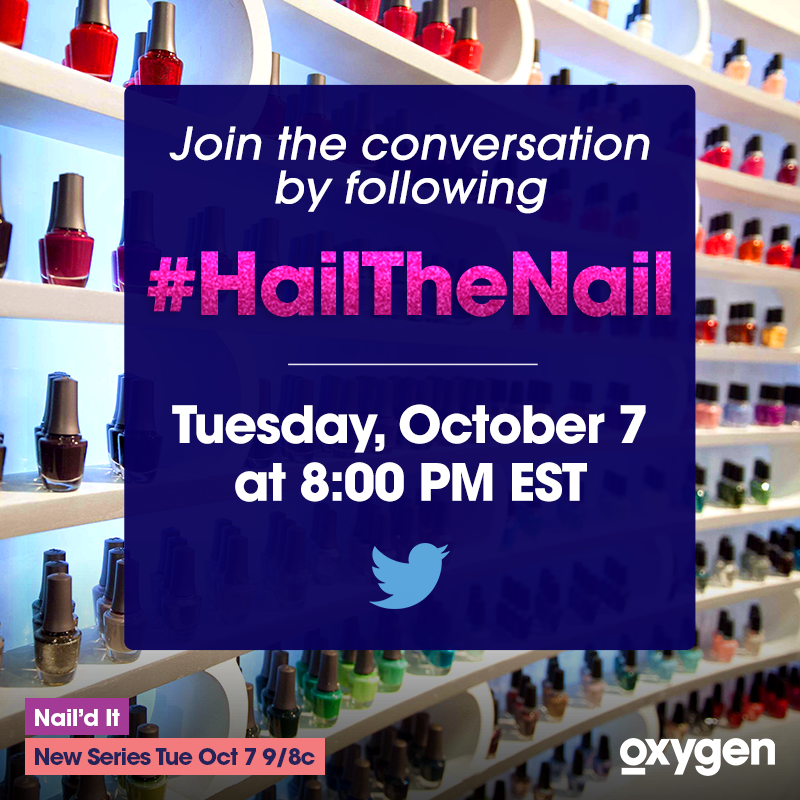 Join the conversation by following and tweeting with #HailTheNail, Tuesday October 7th, beginning at 8pm EST. I'll be cohosting alongside All Lacquered Up, Julie G. Beauty, From Head to Toe, and Wet Paint. Judges Jan Arnold, Elaine Watson, and Tom Bachik will be joining in as well! 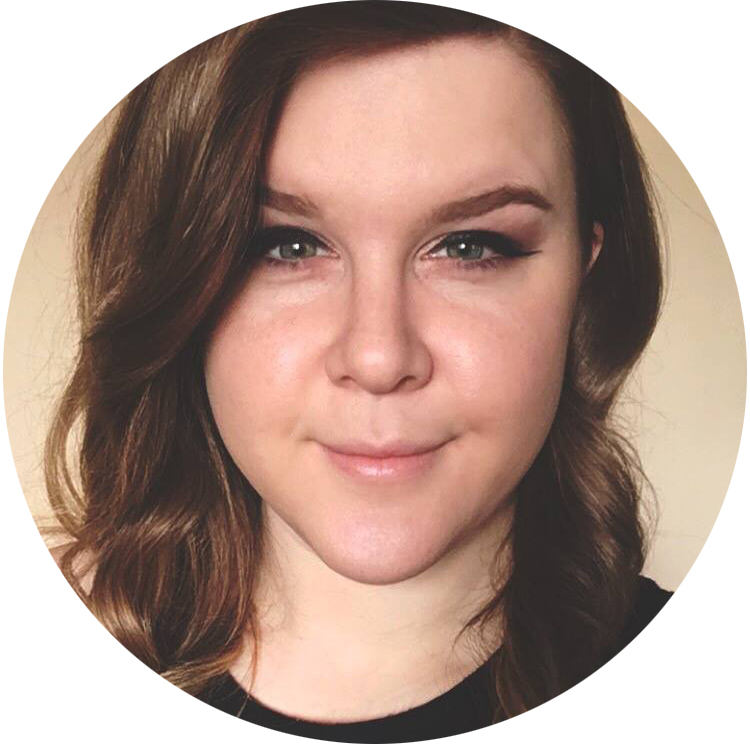 We'll have tutorials, Q&As, and giveaways. When the chat comes to an end, I invite you to stick around and live tweet the first episode with me! I hope we'll see you there for the party, don't forget to mark your calendars! And if you haven't watched it yet, be sure to check out an exclusive first look at one of the Quick Dry Challenges from the show. Disclosure: This post and my participation as a cohost of #HailTheNail has been sponsored by reps for Oxygen. I'm SOOOO excited for this show! I don't have Oxygen though, hopefully I'll be able to catch it online or something. Hi. I'm from Portugal and I can't watch any videos on Oxygen's site because geographic "issues". Do you know how can I watch it then? I would love to see it and I will try my best ti join the Twitter Party. I'm sorry I'm not sure how else you can watch it! I'll try to find out and let you know if I come up with anything. I want to compete. how do we enter? I want to take that fellow to school and show him again why he didn't win (even though he thinks he was the best). I was very shocked when Tom said how great his shape and art was. The shapes were inconsistent, uneven and you could surf on the surface waves. Some of the nails shot up. The cuticles were sloppy. Guess he needs to check out my portraits painted in Nails magazine when he was in diapers. Nail art also has to be perfectly clean and flow. I want to see these techs to properly structured nail to start with. I expect more. Lets see them pull out some corkscrews, different types of water nails, and some real hand painting.